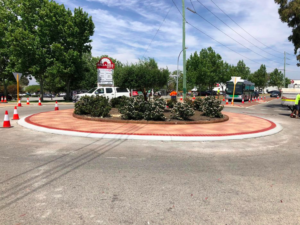 One of the City of Swan’s top priorities is to be a connected and cohesive community in which the diversity of our people and places is valued and celebrated. Ensuring that our community and stakeholders are consulted in the City’s decision-making processes is one of our key strategies in achieving this goal. 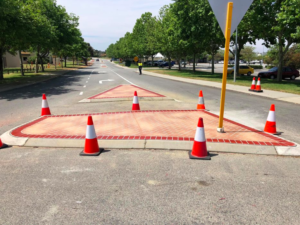 Since 2010 Wespray On Paving have been the exclusive contractor applying the stencil resurfacing work on the “City Gateways Project “ for the City of Swan. This latest section includes more than 100 individual islands and roundabouts with a total area of more than 2000sqm. 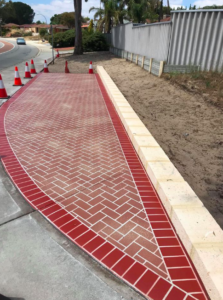 Working alongside Eastside Concrete Contractors who have removed all the old brick paving, grass infill areas and replaced them with a new solid concrete surface. 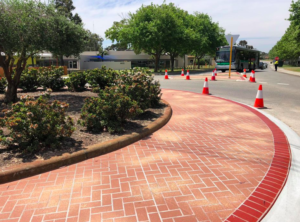 Fewer weeds, less maintenance means less ongoing costs for the council and ratepayers alike. 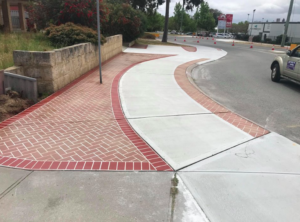 For any commercial or civil concrete resurfacing needs contact the team here at Wespray or visit our website for more information and to see our vast range of projects over the last 17 years.